The Wits Ladies soccer team had a tough game against Orange Farm Ladies FC. 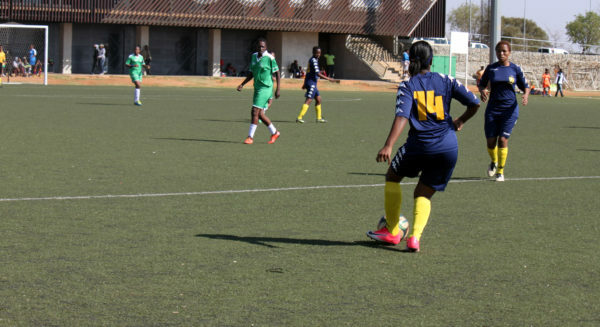 The Wits Ladies drew their first game in the Zodwa Khoza Memorial Tournament. Wits Ladies Football Club ended their first match in the Zodwa Khoza Memorial Tournament with a 1-1 draw against Orange Farm Ladies FC on August 9, 2017. The first half of the 70-minute game saw the Witsies emerge as a well-oiled machine, dominating ball possession and registering two shots on target. Fifteen minutes into the first half, Wits right back Cyrelne Mncube, put the team in the lead with a stellar goal from significantly outside the penalty box. The first half ended with the Wits team leading 1-0. The side continued their aggressive strategy throughout the second half, with player Zinhle Twala receiving a yellow card for a foul. The Witsies, however, began to struggle as the opposition increased their attack and took back possession of the ball resulting in a further four shots at goal being registered by the Orange Farm Ladies throughout the second half. Orange Farm netted the final goal of the second half in the last minute, taking advantage of the cracks in the Wits defence, resulting in a final score of 1-1.